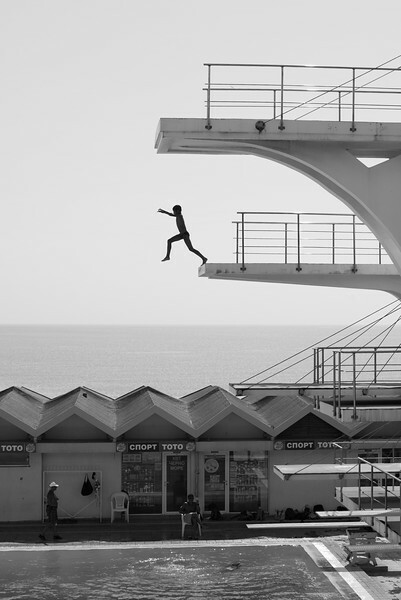 A fearless boy steps off as the Black Sea looms in the distance along the Varna, Bulgaria coast. A small church yearns for God's fingers on the cliffs of Santorini, Greece. The sun broke through the clouds on this January afternoon after a light storm. The island volcano off the coast of Santorini sits just beyond the cliffside church. I'm convinced no words can describe the feeling of looking down on Prague. It's truly a magical place. While out for a walk on my last morning in Rome, Italy, I noticed one of the many beautiful church domes through the whole in the trees and couldn't resist. Luckily, I had my small "walk" camera, a Sony RX100 III with me. Old Town Square in Prague doesn't really need help being incredible. Tourists from all over the world flock there throughout the year to photograph her beautiful architecture. That being said, a little fire never hurt anyone. This Polish street performer blows fire more than 20 feet in the air while giving a show at dusk. Selected by jury and exhibited at the Southeast Photography Center's Monochrome Exhibition. Honorable Mention in the 2016 Monochrome Awards International Black and White Photography Competition, which had 8,122 entries from 81 countries. When I saw the Ringling Brothers and Barnum and Bailey Circus train recently in my hometown, I thought about how many times I and other young kids dream about joining the circus. That and my love of trains compelled me to take this photo. 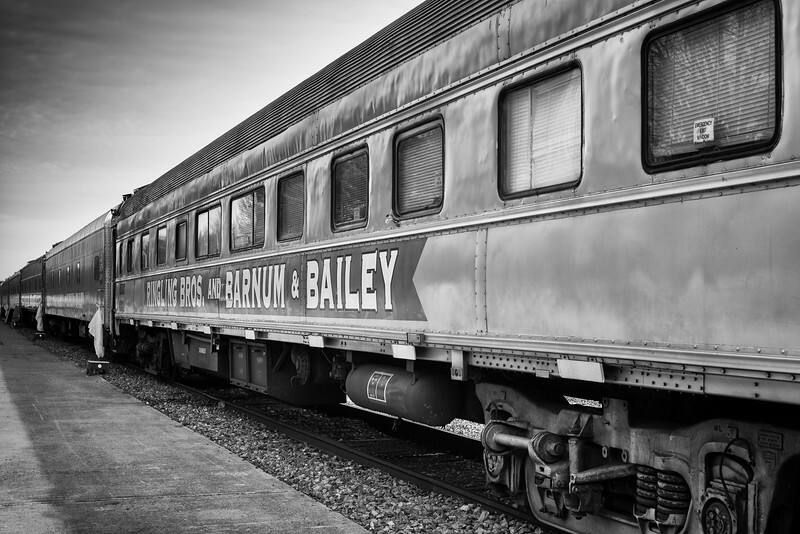 What two things inspire the dreams of travel and excitement more than the circus and a train? Not many! The Chrysler Building is my favorite in the world. While trying to find a new way to photograph it on a cold, windy day in February, I noticed the plate glass reflection of the store to my right. There's nothing better than seeing your favorite architecture twice! I love the public transportation system in Prague. 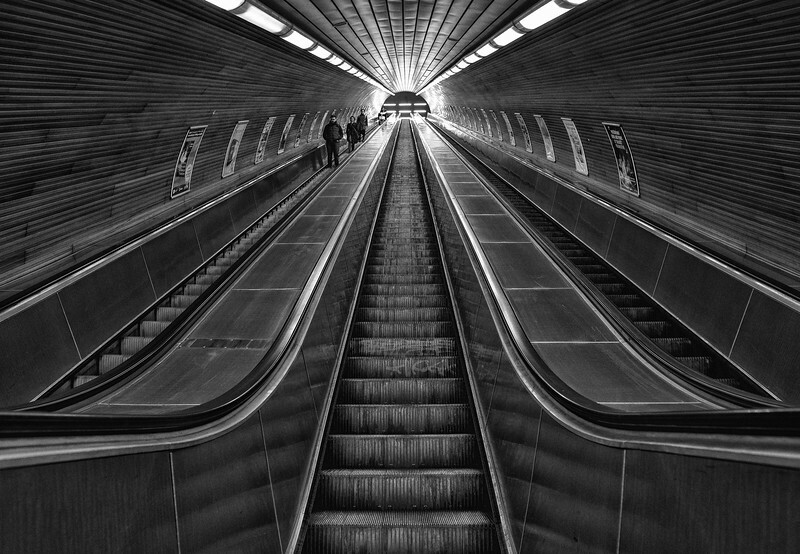 This photo of the incredible escalator was taken from deep within one of the Prague metro stations. I love this view of the Eiffel Tower. It not only invokes the neighborhood feel of Paris, but puts the tower's majestic size in perspective. Shot with my Leica M2 film camera. 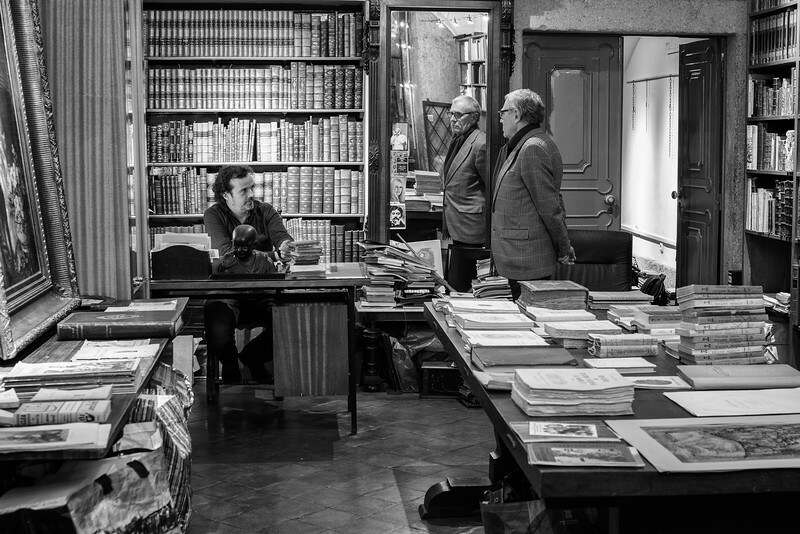 While wandering the alleys of Lisbon one night, I noticed this antique bookstore. The light reflecting off the old books and papers was something indescribably beautiful. As I peered in from outside I felt like I was looking through a portal into another era. 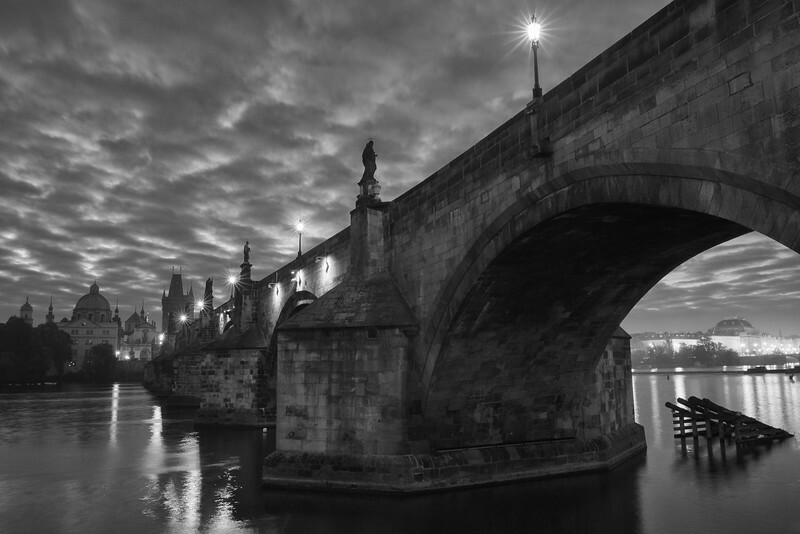 The Magnificent Charles Bridge is one of Prague's most beautiful and visited attractions. Its construction was begun in the 1300's. She is at her most amazing as the sun begins to light the City of 100 Spires. 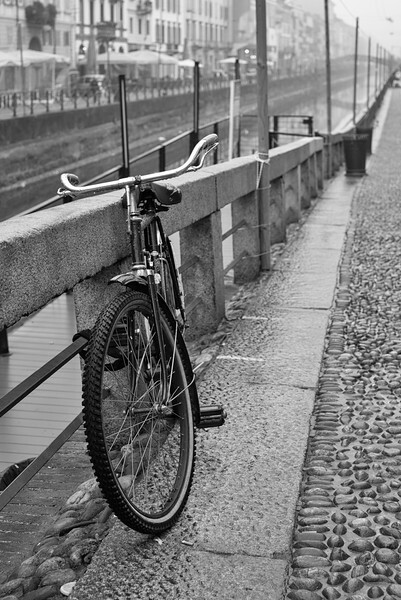 I saw this bike awaiting the return of its rider along the beautiful canals of Milan, Italy. Looked like a nice spot for an espresso. 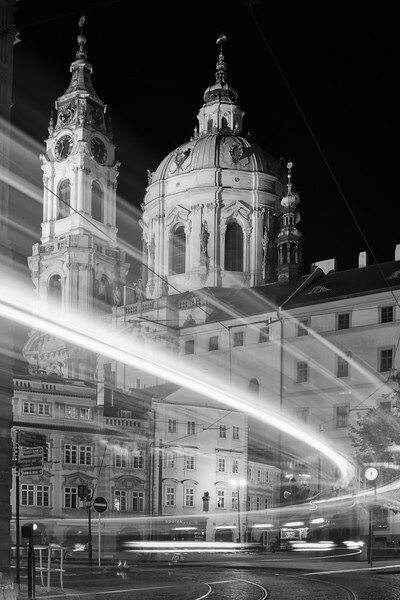 St. Nicholas Church in the "new town" part of Prague is one of my favorite buildings. 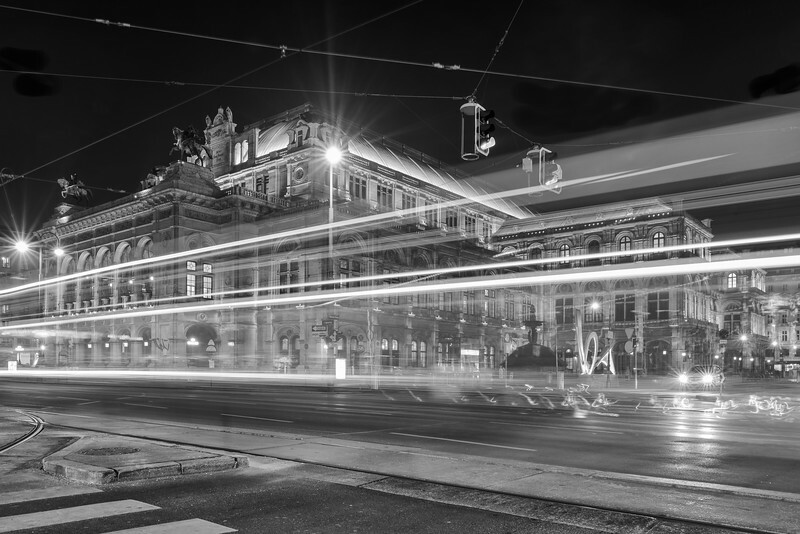 It sits at the end of a cobblestone street interlaced with tram tracks, which adds to its appeal. 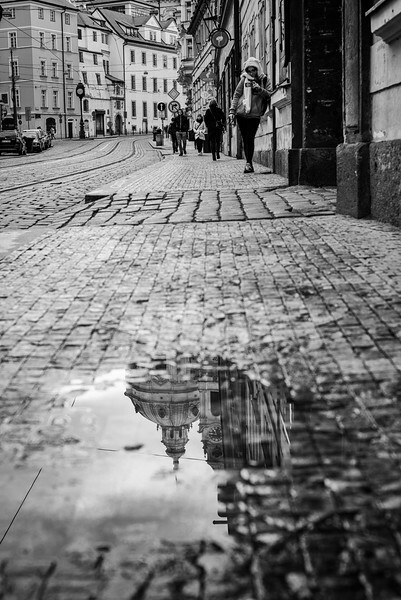 On the day I took this photograph, locals and tourists had just resumed their wanderings and activities soon after a heavy shower. I love trains and cathedrals. While searching for an interesting view of the cathedral in Brno, Czech Republic, I happened to look up and see this classic old Czech train leaving the station. What better combination? I saw the horses from a distance, approaching their stables. 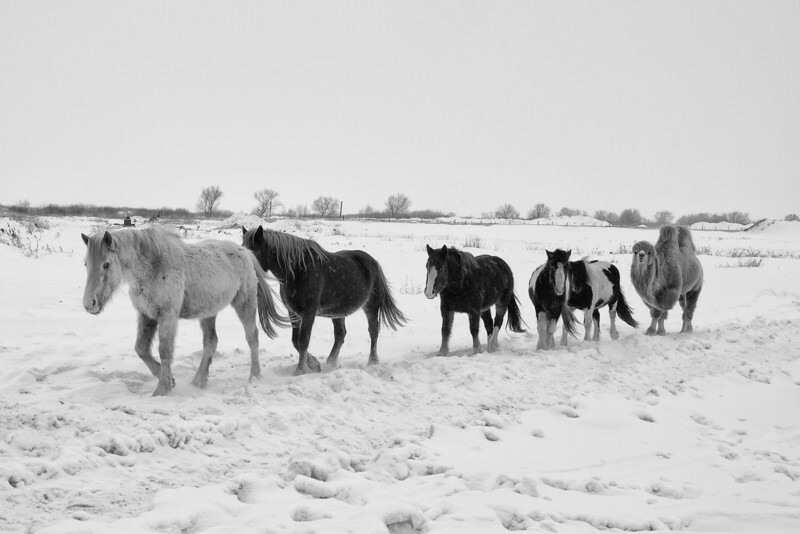 I sat at the side of the road, waiting for what I assumed would be all horses, shivering in the -30 F temperatures. I couldn't believe my eyes when I realized it was a camel bringing up the rear, and in fact pushing the herd home. The white buildings of Santorini, Greece are breathtaking on sunny days, but present an even more striking photo during stormy weather. 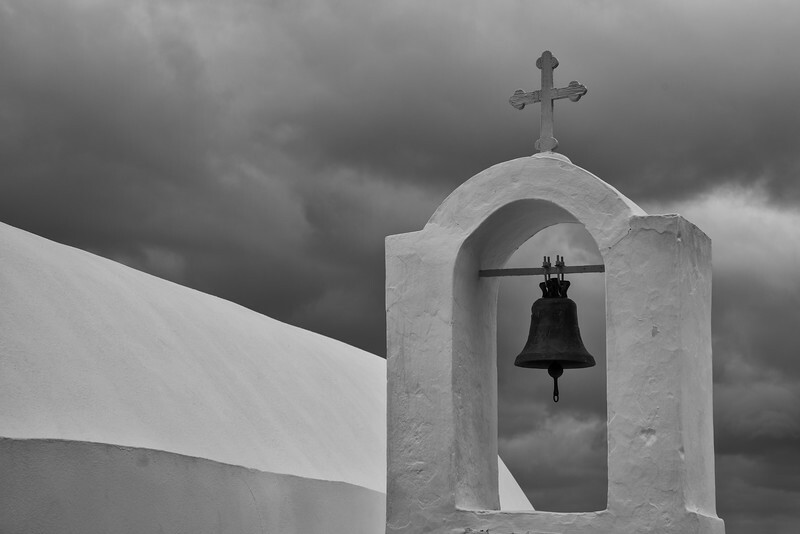 Here, a small church located on the west side of Santorini stands ready to accept all as the storm approaches. During a trip to Paris, I decided to shoot almost exclusively film with my 54 year old Leica M2. There seems to be something magical about the light of film, especially through a vintage camera. 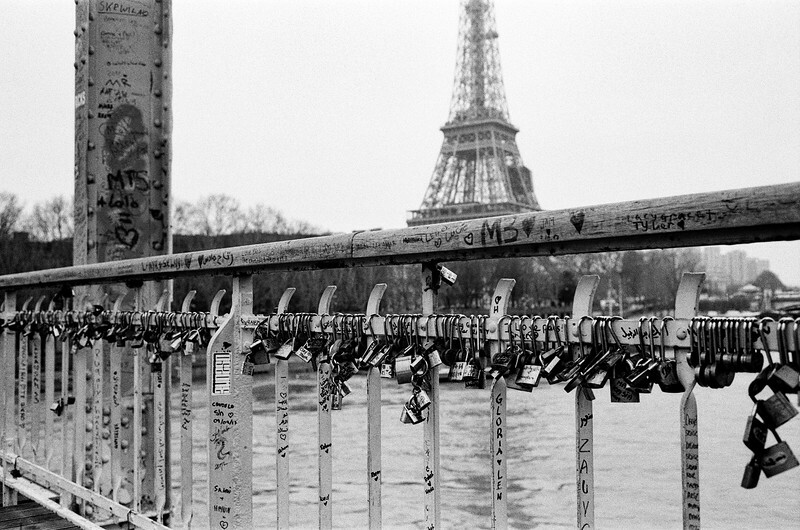 While wandering around the Eiffel Tower I came across this bridge filled with graffiti and locks. 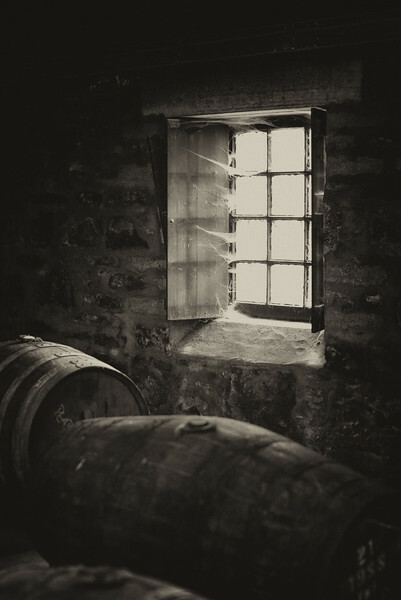 This web-draped window allows sunlight to shine into the casque warehouse at the Glen Moray Whiskey distillery in Eglin, Scotland. I was fascinated by the old casques and the artisanship that goes into creating fine whisky. I loved the view of the Black Sea coast as the express train from Sochi to Adler, Russia whizzed by. 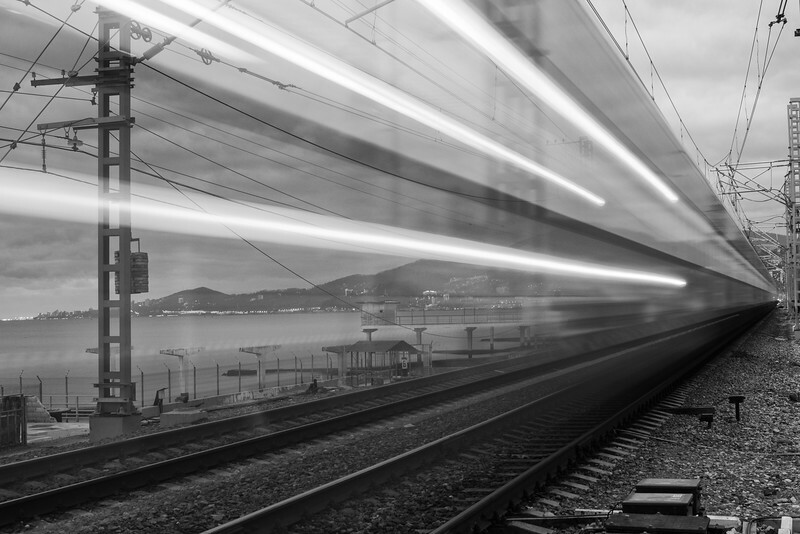 The new trains were built as part of the 2014 Sochi Winter Olympics. I love the biking culture in Holland. 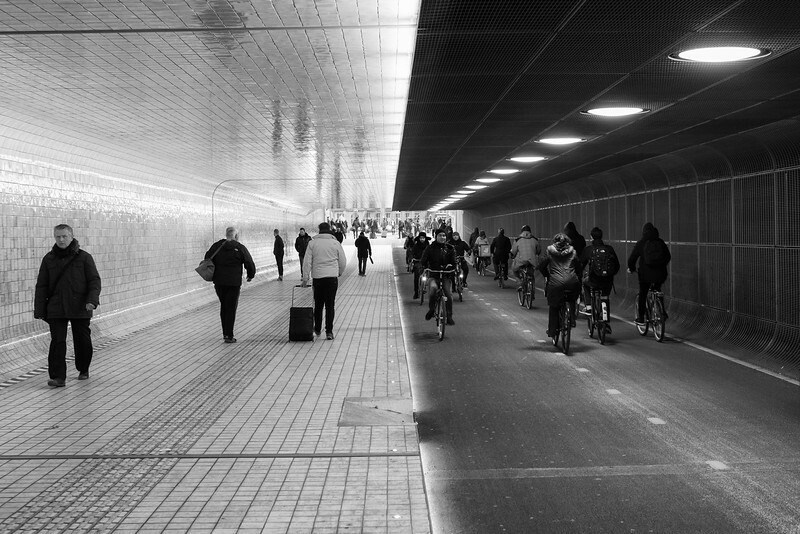 This tunnel runs under the Amsterdam main train station and is the perfect "highway" for a country like The Netherlands. I love bikes. Especially old ones. While this bicycle is actually not an antique, it had the great look of a classic. The owner was inside the small pub in Edinburgh, Scotland, undoubtedly enjoying a pint before riding home. 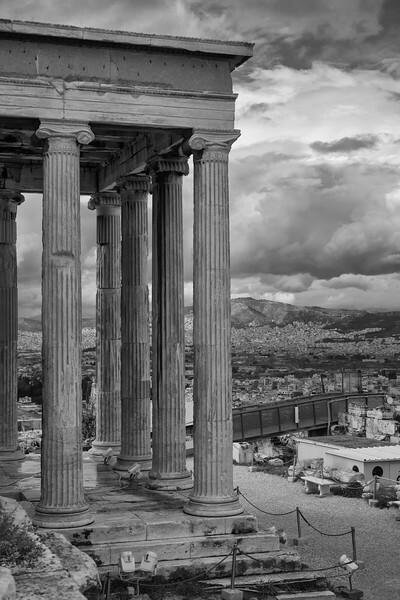 The amazing Erechtheum at the Acropolis in Athens, just before a storm. Pericles commissioned the structure which was dedicated to Athena and Poseidon. 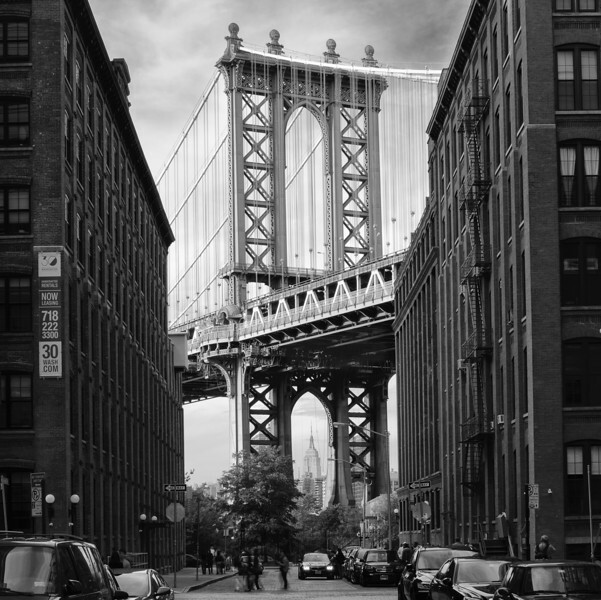 This photo of the Manhattan Bridge and Empire State Building was taken from the DUMBO area of Brooklyn, NY. 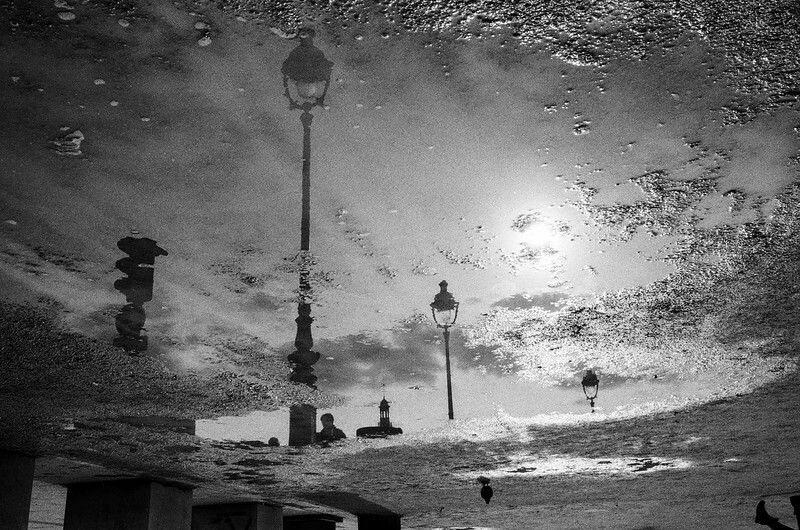 As anyone who follows my photography knows, I love puddles and reflections. I found this one outside the Louvre in Paris. Shot with Leica M2 film camera. 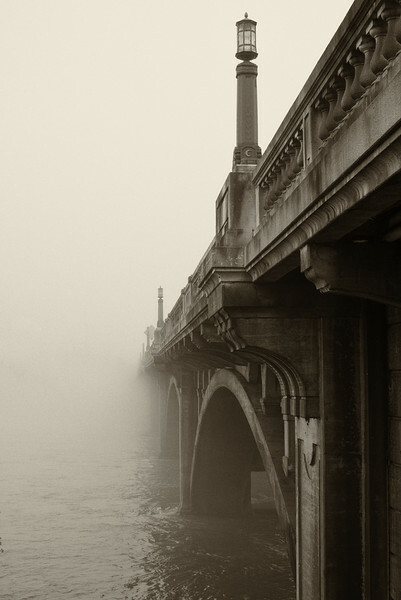 I took this photograph of the Gervais Street Bridge early one morning while fog covered the river. It was a fascinating morning, because I could not see the Columbia skyline, which lies just beyond the bridge. It gave me the feeling the bridge continued into eternity. 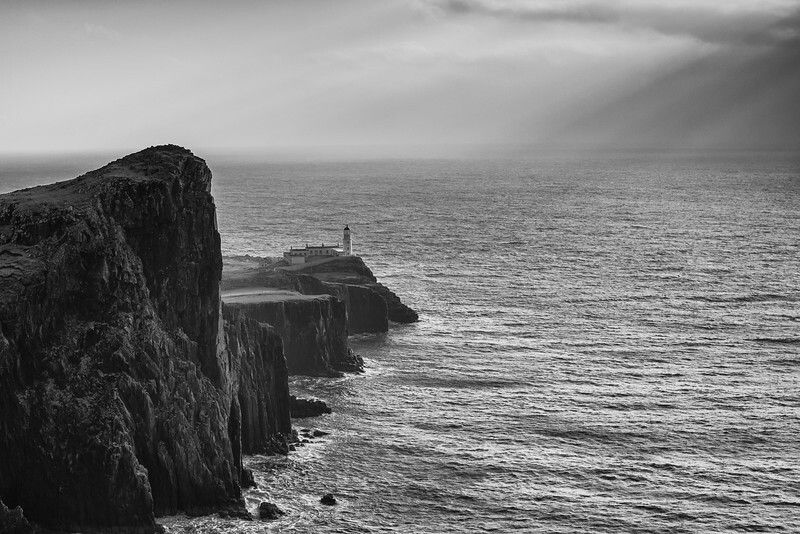 The Niest Point lighthouse on the Isle of Skye, Scotland sits on the western most point of Skye. It is also one of the windiest locations in Europe. The conditions are worth enduring though to see the view of the lighthouse on the lone outcrop. This tea plantation, located in Matsetsa, Russia, is the northernmost spot in the world where tea is grown. Unlike in the more southern locales, Matsetsa Tea can only be harvested in the spring. 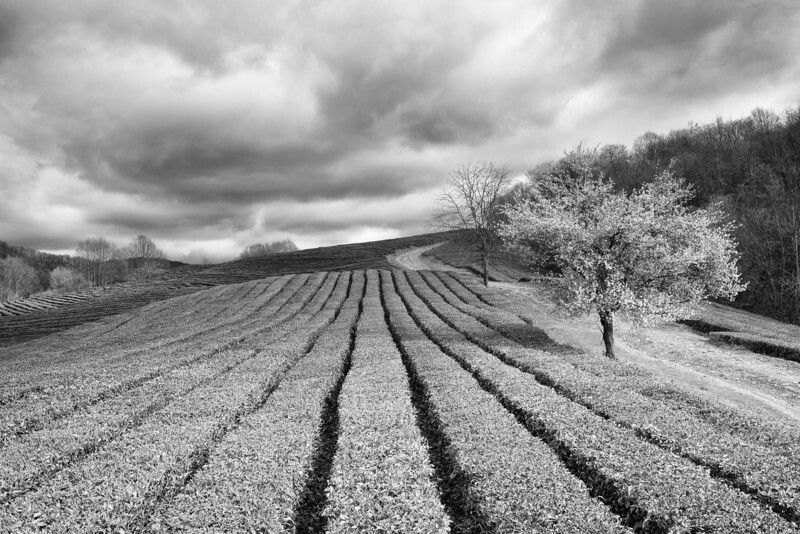 The rows of tea located in the foothills of the Caucasus Mountain range create an amazing scene. A long staircase in the narrow alleys of Bergen, Norway. Lake Moraine, located in the Banff National Park, Canada. 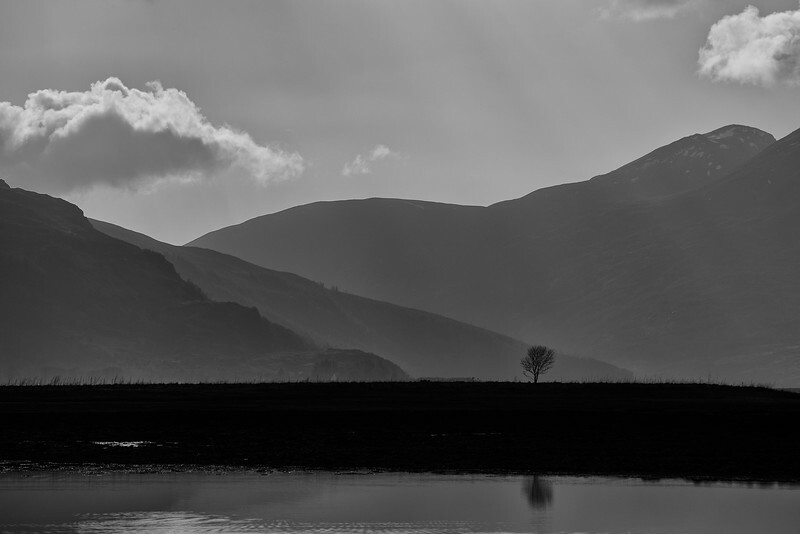 While photographing the Eilean Donan castle in the Scottish Highlands late in the afternoon, I turned around to see this lone, defiant tree sitting atop the dam behind me. Its silhouette against the mountains was such a beautiful scene I had to snap a shot. This narrow alley connects various streets in Old Town Edinburgh, Scotland. 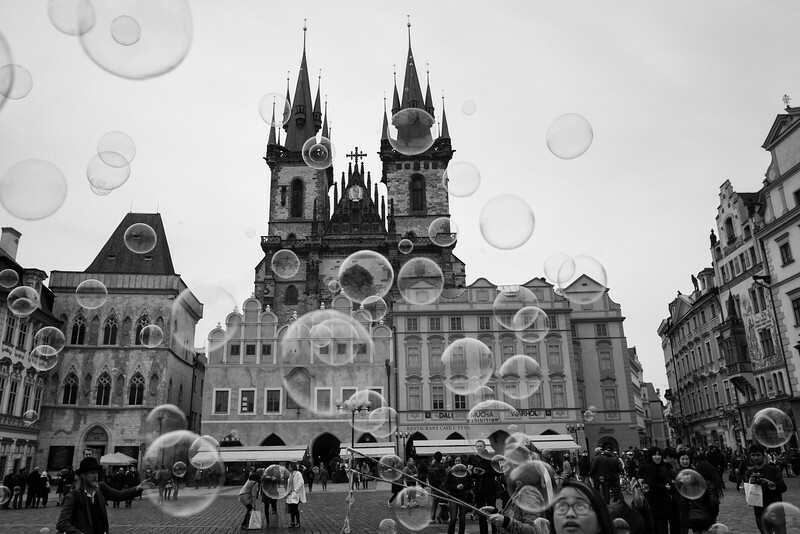 Old Town Square in Prague is a blast in the summer. There are tourists, kids, and street performers everywhere. I always enjoy watching them all interact. 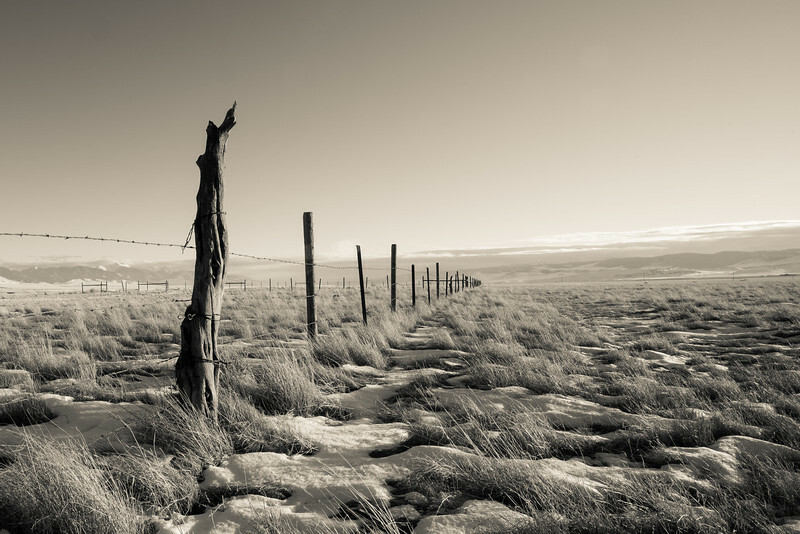 A warm winter melted most of the snow from this Montana pasture, located not too far from Bozeman, MT. 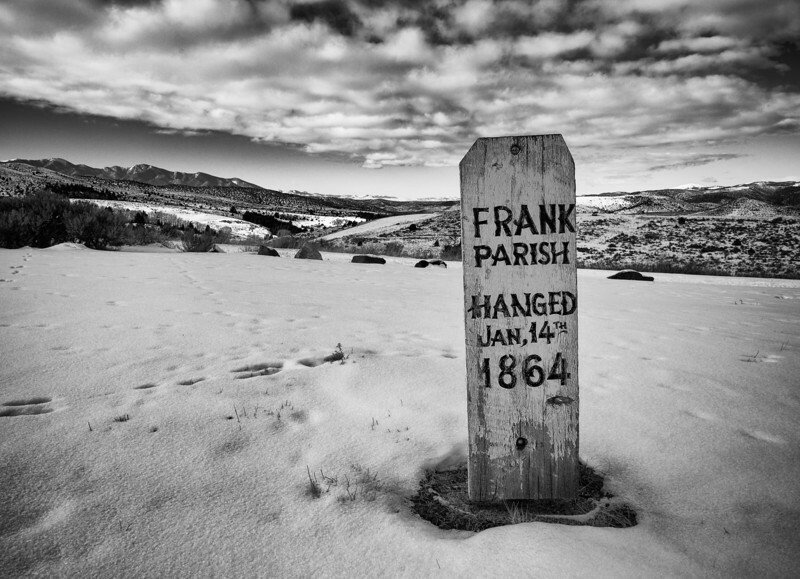 Atop a small hill near the ghost town of Virginia City, Montana stands a graveyard where four train robbers, including Frank Parish, are buried. 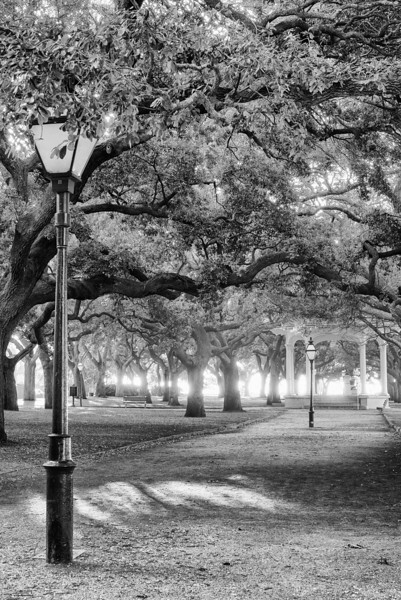 Battery Park in Charleston, SC just after sunrise. I thought Amsterdam had a lot of bikes and cyclists until I went to Copenhagen! While Holland may still have lots, Copenhagen was an amazing experience. Where else do they have bike jams! Bikes are literally everywhere in the city. 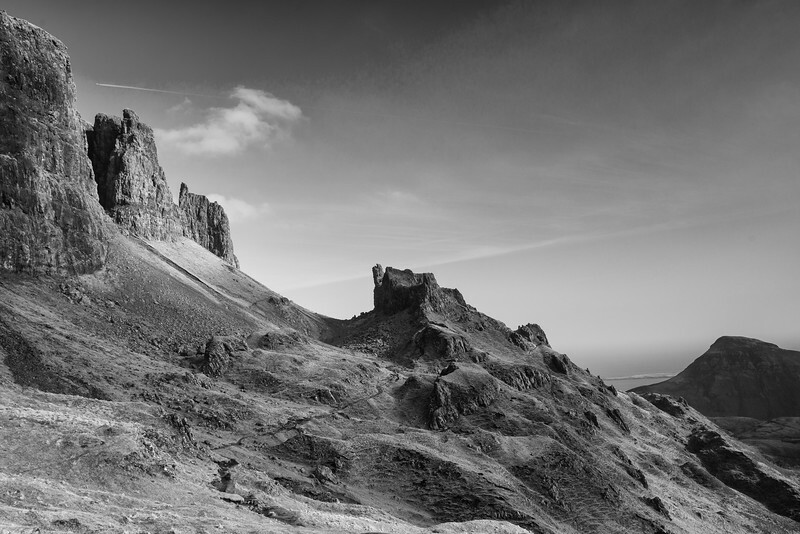 The Quiraing area of the Isle of Skye in Scotland is one of the most amazing places I've ever hiked. From the higher areas, one can see the North Atlantic, numerous lakes, and mountains as far as the eyes can reach. After wandering around near the Flatiron building one day, I strolled through Madison Square Park. 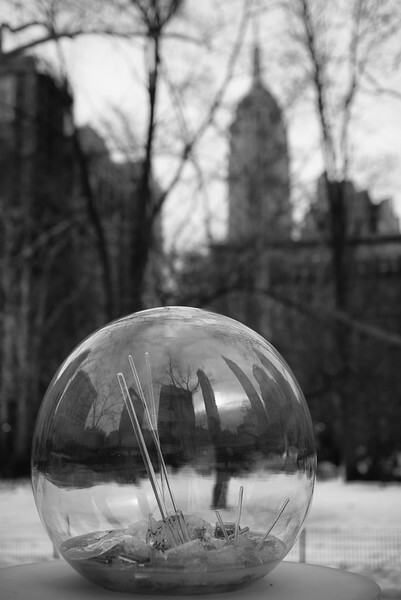 These artistic spheres were casting perfect reflections of the buildings around the park. 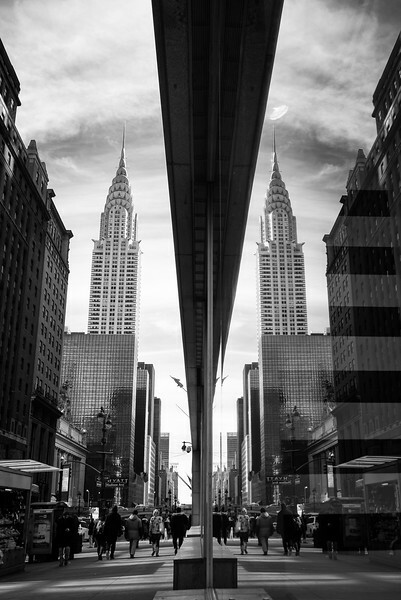 The Flatiron can be seen in the reflection, while the Empire State looms in the distance. I love the alleys and passages in old cities. I always look for relics from another time, like gas lamps and laundry hung out to dry. 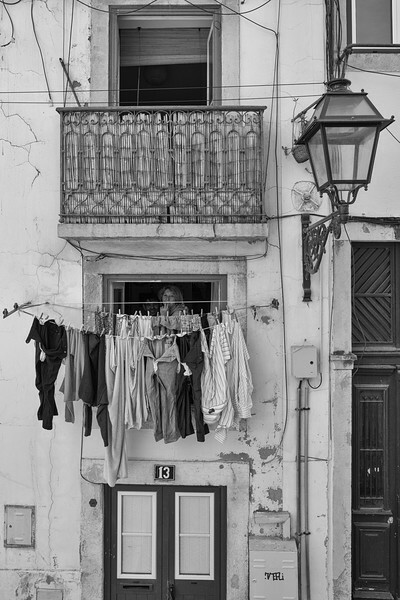 I was especially lucky outside number 13 when I realized the apartment's occupants were visible just past the drying clothes. 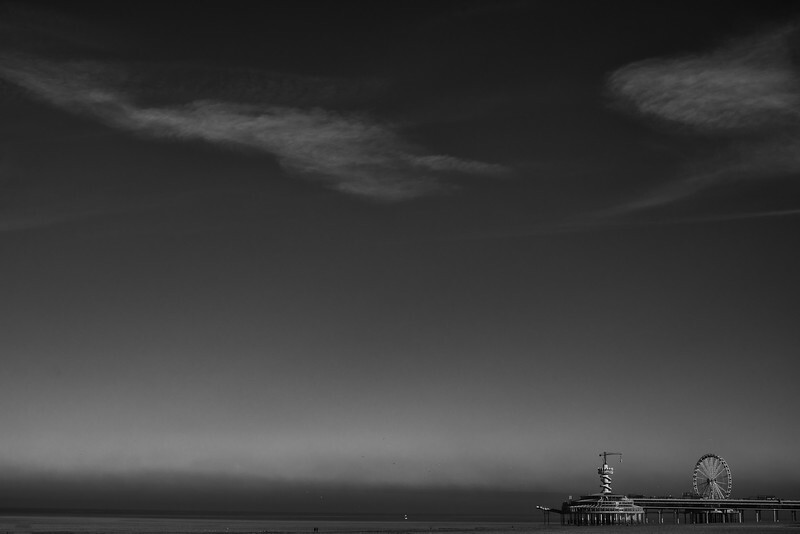 The pier on den Haag beach. Den Haag, better known to Americans as "The Hague," is the capital of The Netherlands, better known to Americans as "Holland." Too many names. Beautiful beach. 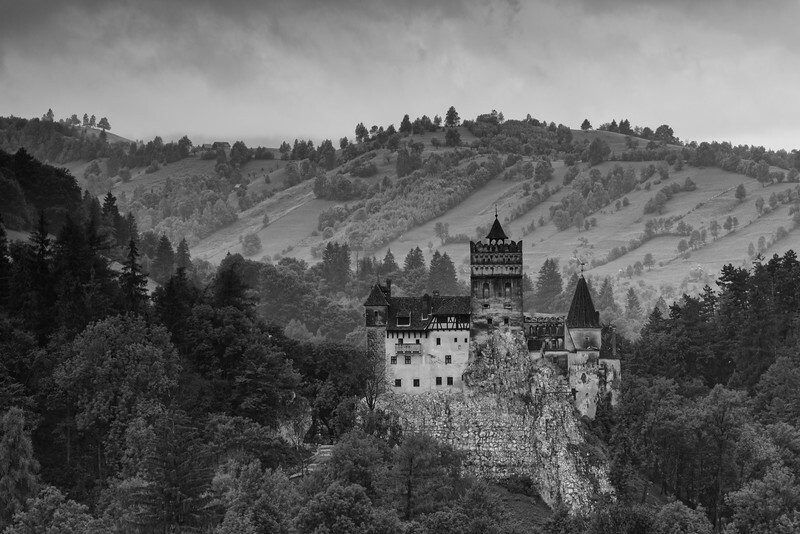 Bran Castle, located in Transylvania, Romania, is the location where Bram Stoker's Dracula was filmed. Do the ghosts of Vlad the Impaler still haunt the castle? The view inside the Jeronimos Monastery in Belem, Portugal is stunning as the afternoon light pours in the Rose Window. Saint Nicholas church in Prague, Czech Republic. Budapest's Chain Bridge is one of my favorite in the world, and undoubtedly the most photogenic one around at night. 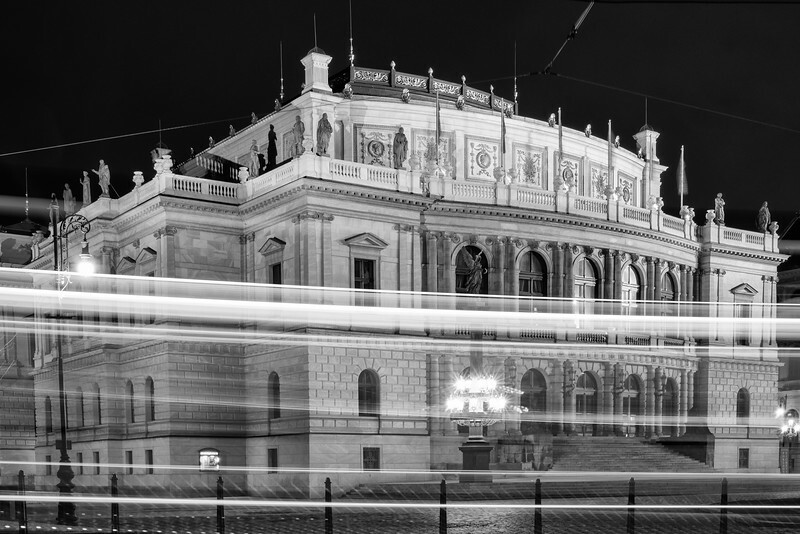 The beautiful Rudolfinum Theater in Prague. Dvorak Hall inside is one of the oldest in Europe. Antonin Dvorak conducted the Czech Philharmonic there in 1896. 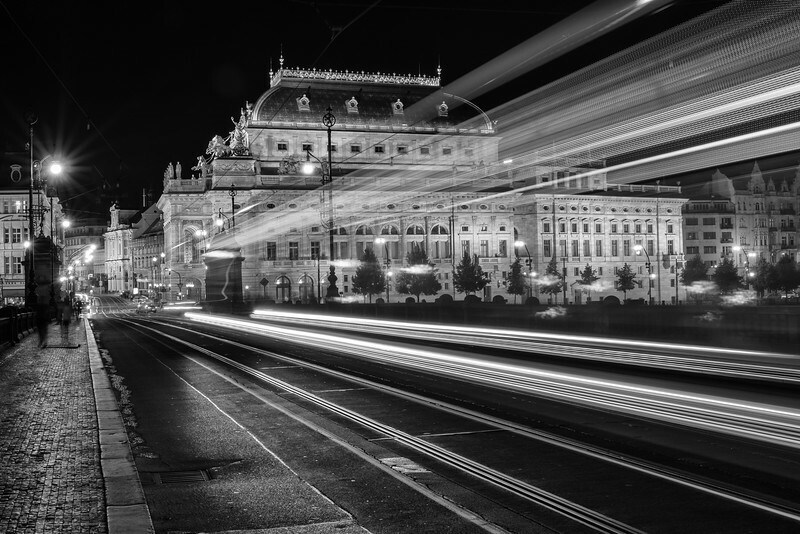 The theater shown while a Prague tram passes in the night.